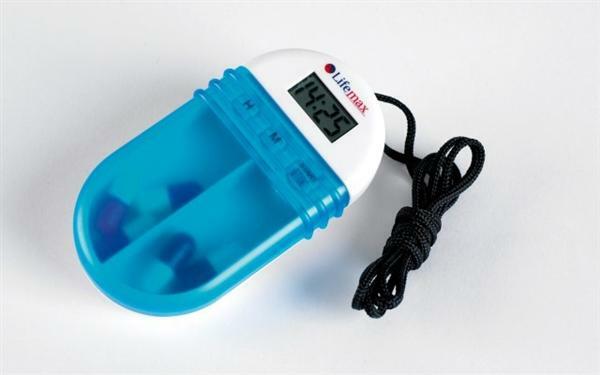 Pill Box - Pocket LDC With Pre-Set Alarm / Flash. Pocket size tablet holder can be worn round the neck and pre-set to sound alarm when medication is due. With a real time display, audible alarm and flashing light, the reminder can also be used to store your tablets inside the easy to slide open container. 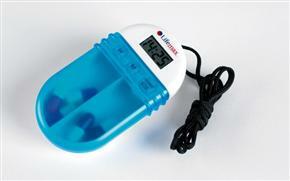 Timer can be set to count down for up to 19 hours 59 minutes and to count up to 19 minutes 50 seconds. Uses a 1 x 1½V button cell battery (included).